So, when did Delhi become the fashion capital of India…and why did Mumbai agree to let a largely provincial, principally Punjabi city steal its crown? As the battle of the Fashion Weeks drew to a close in April, it was instructive to remember that things weren’t always as combative as they have now become. Back in the 1980s, there weren’t that many fashion designers anyway. Bina Ramani sold clothes from the Hauz Khas village, a gentrified Delhi shopping complex and Ritu Kumar ran Ritu’s Boutique. Mumbai (or Bombay as it was known then) had the glamour quotient. In the early 1970s, Parmeshwar Godrej ran Dancing Silks – then India’s most exclusive boutique – and by 1976, she was on the cover of a film glossy, as big a star as the actresses she dressed. That was Mumbai’s great advantage, you see: it had the movie business. The designers were drawn to the Juhu-Vile Parle Scheme like moths to a flame. Godrej may have dressed Zeenat Aman, Parveen Babi and Dimple Kapadia. But there were others who were only too willing to dress the lesser stars. Even Akbar of Kachins, a relatively modest tailoring shop, became a legend on the basis of the clothes he made for Amitabh Bachchan to wear in his movies. When the designer boom got properly under way in the 1980s, it was Mumbai that was at its centre. In those days, Rohit Khosla was India’s best-known designer and even though he lived in Delhi, it was in Mumbai that he had the most impact. He helped his friend, Tarun Tahiliani, a management graduate with no previous experience of fashion, to set up Ensemble, India’s first real designer boutique in the heart of Mumbai’s dockland. Almost all the designers one heard of in the late 1980s and the early 1990s had a Mumbai connection. Tahiliani soon became a designer himself. Among the early stars of Ensemble were Abu Jani and Sandeep Khosla who cheerfully straddled both worlds, dominating designerwear for civilians while simultaneously dressing the entire Bachchan family and becoming the premier designers of film land. Shahab Durazi, a Mumbai lad, was India’s top menswear designer. And the filmi designers were beginning to make the transition to the larger mass market. It probably started with Tarun Tahiliani’s decision to shift from Mumbai to Delhi. Why was he moving? Well, he said, how can you design four collections in a city that has only one season? At least Delhi has a winter. A designer can do a summer line and a winter line. In Mumbai, all you do is help people cope with the heat all year round. From that point on, Delhi suddenly took over. Almost all of the designers who emerged in the 1990s were from Delhi. Rohit Bal was brought up in Kashmir but operated out of Delhi. Rina Dhaka was married into a Delhi family. Ritu Beri was a Delhi girl. Suneet Varma was a Delhi boy. And so on. Mumbai didn’t really make a comeback till the beginning of the new century. And even then, it was on the back of the film industry. Would we ever have heard of Manish Malhotra if Karan Johar and Aditya Chopra had not decided to reinvent the wardrobes of Kajol and Shah Rukh Khan? Would we have heard of Rocky S, Vikram Phadnis, Neeta Lulla et al without the influence of the film business? By then of course, it was too late. Fashion Week started out as a capital event, first staged in cramped surroundings at the Taj Palace Hotel and then, at the faraway Grand Hotel on the outskirts of Delhi. There were a few Mumbai Fashion Weeks in between, staged uneasily at the Taj Mahal Hotel and the NCPA but everybody knew that the only fashion that mattered in India was in Delhi. All Mumbai had to offer was filmi fashion. 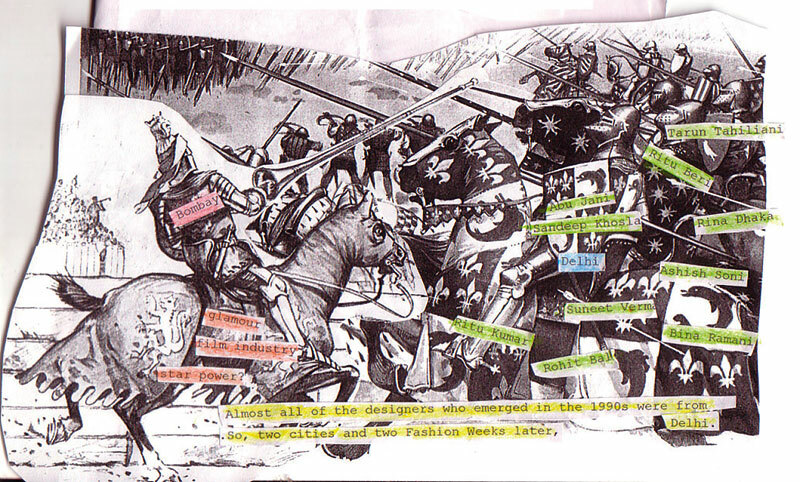 Which is why it was interesting to see how the ‘Battle of the Fashion Weeks’ would turn out. The Fashion Week brand itself was shared by both the Fashion Design Council of India (FDCI) and Lakme, the cosmetics company that had picked up the bills for all the Fashion Weeks. When the two entities decided to go their separate ways, each fought for custody. It was a dispute to which the only solution was a Solomon-like split: half of Fashion Week went with Lakmé and the other half with FDCI. The Lakme version was held in Mumbai and though it boasted the odd Delhi designer (Ashish Soni and Ritu Beri, for instance), it was really an all-Mumbai show. Opinions are divided over the quality of the collections, but Delhi seemed to have attracted a larger contingent of buyers than Mumbai. This may have been due to the fact that Delhi presented a larger number of designers overall. Mumbai did pull in a sprinkling of buyers, representatives from Brown’s in London, Saks and Lord and Taylor in New York and CK Tang from Singapore, but perhaps then were overshadowed by the Bollywood buzz. Nobody could dispute the fact that Lakmé Fashion Week reeked of celluloid gloss and glamour. Where else could you expect to see Preity Zinta preen prettily on the ramp? Or watch Salman Khan stalk the catwalk in very dark glasses and wonder how he could possibly see where he was going? Akshay Kumar sat in the audience and the film industry turned out to cheer Manish Malhotra. When that wasn’t enough, there were the famous wardrobe malfunctions. First, Carol Gracias’ top fell off, then Gauhar Khan’s bottom split wide open. Neither was pre-planned and both girls behaved with style and class but in the age of news television, the clips were played and replayed with such intensity that even those with no interest in fashion quickly learnt that Lakme had something to do with the Fashion Week. Compared to Mumbai, Delhi’s Fashion Week was relatively low-key glamourwise. So when Soha Ali Khan, a Delhi girl, threw a lunch, the whole city acted as though Julia Roberts was hosting a party. When Bipasha Basu, also a Delhi girl at one stage of her life, walked the ramp during the grand finale, the country’s capital came to a standstill. 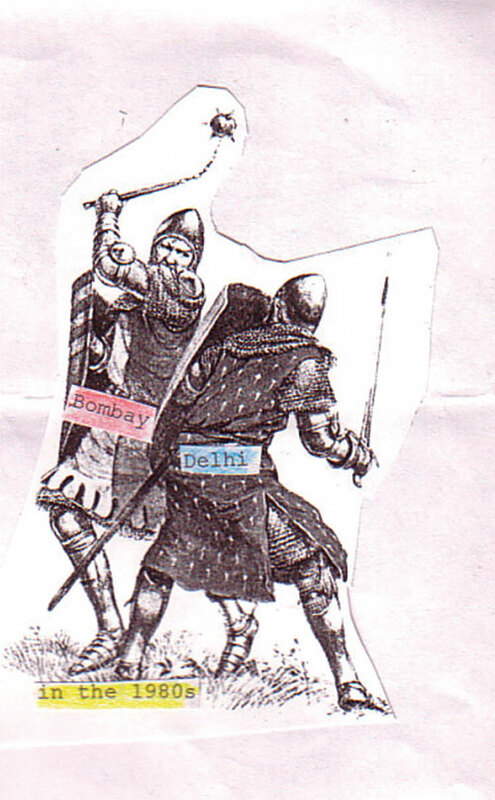 In Mumbai, they mocked the credulous unsophistication of Dilliwallahs. How could they be so impressed by the occasional display of star power? In Delhi of course, they said that Mumbai had it all wrong. Fashion Week was about clothes, not about movie stars. As for movie designers, how could Mumbai hope to compete with a 20-year retrospective of the best of Abu Jani and Sandeep Khosla? Even as fashionistas in each city advanced the claims of the local Fashion Week, some things seemed clear. Delhi seems to be racing ahead as the Fashion Capital of India. It’s where all the veteran designers are. As for Mumbai, well, it has its own unique brand of fashion – and Lakmé Fashion Week has introduced two separate categories to present and promote newcomers in the field. The Generation Next Designers and Emerging Designer shows in Mumbai threw up talents such as Rahul Misra and others who caught the attention of Albert Morris from Brown’s. Then, Mumbai has the movie stars, it has the glamour and it has the big bucks. So, two cities and two Fashion Weeks later, what can one say? Except that each Fashion Week, like the finest mineral water, tends to find its own level.